Hello people! Jordan here, and I’ve come to talk about the latest release of the DCU, which hits theaters this Thursday! That’s right! You probably already know that Justice League is coming to a theater near you, and If you were around when me and Josh discussed Batman V Superman, you probably remember us harking on sir Zach Snyder’s direction of the film. Ironically, I didn’t hate the film as much as Josh did. I thought there were some entertaining aspects, such as the fight with doomsday at the end and Ben Affleck as Bruce Wayne. Those parts were fine. Many more were not. One of my favorite Youtubers and filmmakers is a blogger named Casey Neistat. A few years back, he came out with a video called “Casey’s Guide To Filmmaking,” which he primarily discusses the different camera’s he uses and the ones he used to use during his decade long career on the internet. One of the side aspect of that video is a concept that I heard for the first time back went this was first uploaded, and that concept is that story is king. Casey said that no matter how great your gear is, if the story is awful, none of it matters. I’d like to branch off from this “Story Is King” concept by saying that no matter how great the characters were in their comic heyday, if you don’t tell a good story with them on screen, none of that matters. I think Zach Snyder needs to be reminded is this concept. The writing of Zach Snyder’s last DCU film, Batman V Superman, was so all over the place that it failed to be coherent. One of the worst parts of this often random feeling movie is a dream, where Batman is in the middle of some desert fighting off a bunch of (Desert bandits? Sand soldiers? Tusken Raiders?) dudes in vests, and then Flash shows up and says…something? Then that scene ends and is never referenced again. It’s confusing, strange in comparison to the rest of the film, and most of al it does not serve the STORY that the film had been telling. Zach Snyder shot and OK’d this for the movie. The Martha scene is another awful resolution that solves the movies problems so easily that everything before it seemed over the top after that scene ended. “Your mom has the same name as my mom? Nah we cool.” The division between Batman and Superman was building up a climax conflict that should have been played out for much more of the film, but it wasn’t. It was also why the title Batman V Superman is the worst title for the film. Blown expectations ShNYYDEE! These inconsistencies that feed into the overall story are specifically why I have a hunch that Justice League will be awful. Snyder’s just doesn’t have the directing chops to keeps his stories in this universe railed. That concerns me, and it’s also why removing him from the driver’s seat of the films was the right decision. You can’t have a guy at the helm piecing together whole movies when he couldn’t even do it for one. 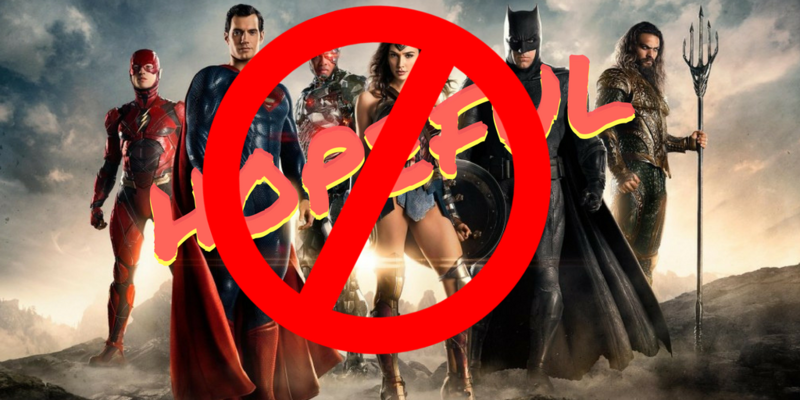 Joss Whedon WILL fix the franchise, but first we have to get through the last remnants of Zach Snyder’s influence, and if Justice League’s not absolutely terrible, I will be genuinely surprised. LOOK FOR OUR REVIEW OF THE FILM MONDAY! !